Thermal evaporation is a common method of physical vapor deposition (PVD). It is one of the simplest forms of PVD and typically uses a resistive heat source to evaporate a solid material in a vacuum environment to form a thin film. The material is heated in a high vacuum chamber until vapor pressure is produced. The evaporated material, or vapor stream, traverses the vacuum chamber with thermal energy and coats the substrate. Thermal evaporation deposits both metals and nonmetals, including aluminum, chrome, gold, indium, and many others. Thermal evaporation is used most commonly for applications involving electrical contacts, by depositing such single metals as silver or aluminum. More complex applications include the co-deposition of several components and can be achieved by carefully controlling the temperature of individual crucibles. Thermal evaporation can be applied to deposit metallic contact layers for thin film devices such as OLEDs, solar cells and thin-film transistors. In addition, this technique can be used to deposit thick indium layers for wafer bonding. To better achieve consistent, high-quality results, Denton Vacuum controls the rate of deposition using quartz crystal rate sensor, temperature or optical monitoring systems (OMS). Read more about our thermal evaporation and sample preparation solutions, DV-502 and Benchtop Turbo, and how you can benefit from them below. 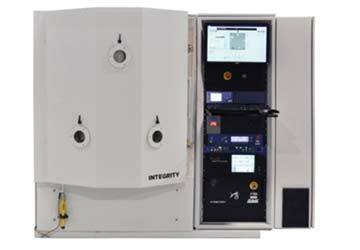 The Integrity is configured for demanding optical, semiconductor and compound semiconductor applications. A temperature management system supports a fluid-cooled substrate stage, which enables for small grains and textured films. 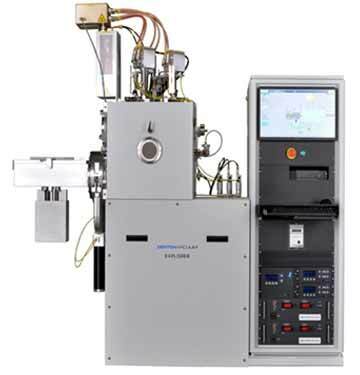 The Explorer provides the ultimate in flexibility, offering a range of configurations and deposition technologies, including e-beam evaporation, resistance evaporation, sputtering and ion-assisted deposition. 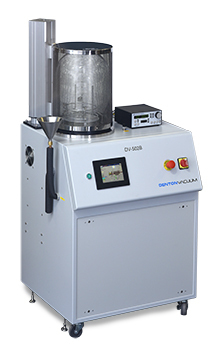 The DV-502 Thermal Evaporation system evaporates many of the metals involved in optical coatings, metalizing and electron microscope specimen preparation, including carbon, gold, gold/palladium and platinum, with no discernable contamination. 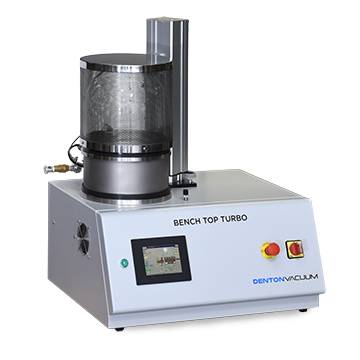 The flexible and compact Benchtop Turbo for thermal evaporation and sample preparation is a powerful, versatile high vacuum evaporation and sputtering system.